If you are an App developer or just want to try some of the iOS Apps on your Android device, you need an android emulator to do so. I think most of know it already. So if are you looking for the best iOS Emulators for Android, you came to the right place. Today, I am going to write about 3 best iOS Emulators which are available for free. Please note that the official support for these below emulators has stopped long back. So, if you have any doubts or need any tips you can use the comment section below. However, you can still use them to run iOS Apps on your Android devices without any hassle. The 3 best iOS Emulators for Android available are Cider APK, IEMU, and Appetize.io. You can check them below. 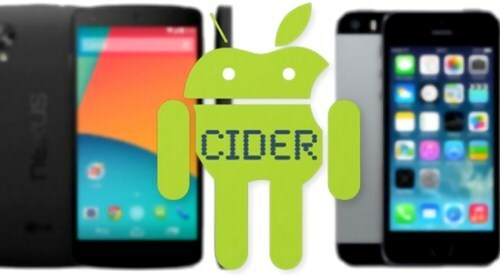 Cider is also known as Cycada Apk is one of the popular Android Emulator that can be used to run iOS Apps on your Android. However, It works only on some selected devices plus it has few limitations. I have written a complete article about Cider Apk. Please check it. iEMU Apk is yet another powerful iOS Emulator for Android. iEMU is also known as Padoid Apk. This Emulator has been used by so many app developers to test their app on Android devices to find bugs and flaws. To Download iEMU or Padroid Apk, please refer to the link Download iEMU Apk. Once you download, Install it and enjoy the experience of iOS on your Android. You might face some performance issues due to insufficient Memory or Hardware support. Except that you can immediately start using your favorite iOS Apps. Note: iEMU supports only iPas and ZIP files. Additionally, you can embed the application into any HTML using the iFrame. These are some of the best iOS Emulators available for Android where you can test and run iOS Apps. These above Apps just provide half of functionality of a real iPhone will give. So if you are serious into app developing, I recommend you to use a real device as it gives you accurate results or flaws so that you can improve your application.